It makes a difference whether you interview alone, or in a group. On Skype, on the phone, or in-person. The questions we will ask you in a screening interview differ to the questions you will have to deal with in a second interview, or in a final interview. What is more, we can categorize the questions by the reason why we ask each question, and what we try to understand from your answer. If you are an employer and plan to conduct interviews with job seekers, this section on Interview Penguin should help you to understand how to compose your interview template, and what questions to include on it. And if you are a job seeker, our selection should help you to understand how to prepare for various levels and forms of a job interview. Enjoy! Group interview tips – A cost-effective way of interviewing, group interview offers an opportunity to compare the job applicants in real time. Phone interview tips – Learn how to make a good impression on the phone, and how to answer their questions. Screening interview questions – Typically the first stage of an interview process. Companies conduct it online, on Skype, over the phone. Most employers will screen out more than fifty percent of job applicants, before inviting the rest for the in-person interviews. Read the article and learn how to make the cut. Personal interview questions – We use them to understand the personality of job candidates, their motivation, their strengths and weaknesses, and their experience. 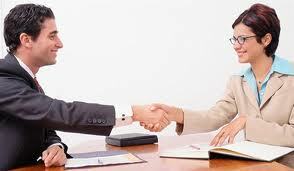 Second interview tips – Typically in-person, and often the final stage of the interview process. Learn how it differs from the screening meeting, what questions you should expect, and how to make a good impression on your interviewers. Situational interview questions – They help us to understand your readiness for the job, and your way of thinking. Behavioral interview questions – Inquiring about your past, we try to understand how you would act in your new job, while facing various challenges and tasks. Skype interview tips – Advice on how to make a good impression on Skype, and how to prepare your equipment. STAR interview questions – Trendy form of interviewing job candidates, explained in a simple way. Final Interview questions – Typically only a few shortlisted candidates are invited for a final interview. One of the executive will often lead this third (or forth) stage of the interview process. Learn what to expect, and what questions they will ask you. Teamwork interview questions – Teamwork is one of the foundation stones of success. HR managers will often give you a couple of questions that test your teamwork ability. Learn how to deal with the questions. * If you are an employer and you didn’t find what you were looking for in this section, please have a look at For Employers Section. Thank you!